When I saw this adorable stamp by Karen Lockhart I just knew it had to come home with me! 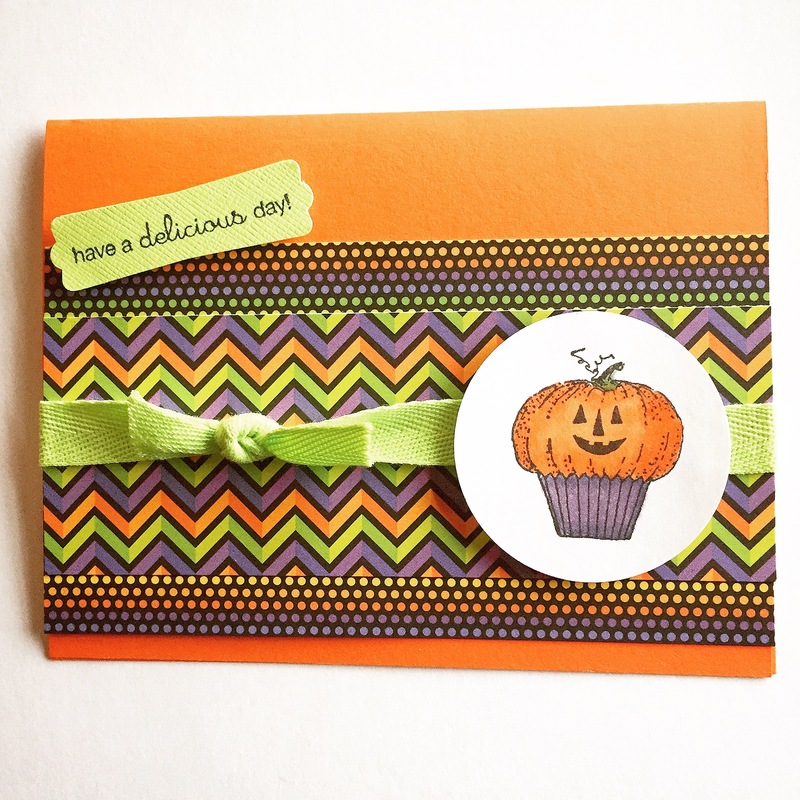 You can find your very own Pumpkin Cupcake stamp here at Pink Ink Stamp Company. The stamp “have a delicious day” is from A Muse Studio and worked perfectly for this card. The pumpkin cupcake is stamped with black ink on white card stock, colored with Copic markers, and punched with a circle punch. The sentiment is stamped with black ink on green card stock and punched with the label punch from Stampin’ Up. 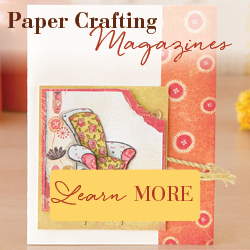 To put the card together, I layered panels of 2 different patterned papers and tied a green ribbon in a simple knot over the papers. The whole panel is then attached to an orange card. The pumpkin cupcake and sentiment are both attached with pop dots.